Depot Day is held every autumn to celebrate the preservation of one of the Santa Barbara area's leading historical landmarks — the Southern Pacific railroad station building in Goleta. The first Depot Day was held in 1983. The event features a silent auction, barbecue, rides, and a rare chance to see the 2nd-floor agent's apartment. 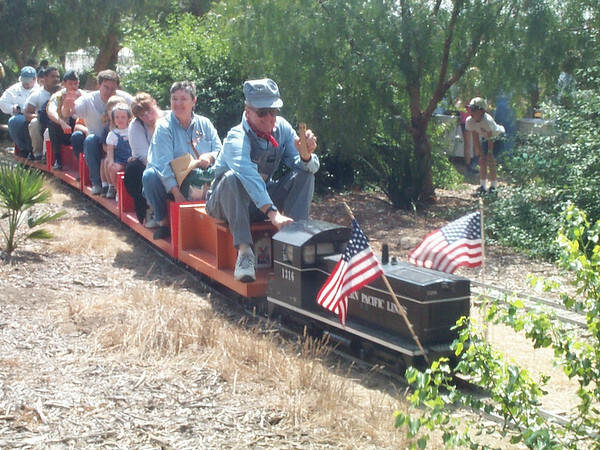 Engineer Bob Burtness hauls Depot Day passengers aboard the Goleta Short Line train, pulled by Engine No. 1316.